Published on 14 November 2007. You may remember Dixons, the highstreet electrical retailer that was absurdly rebranded as Currys.digital (their pointless dot and italics, not mine). You may also remember its wonderful press department which secured it regular free advertising via the national media, by putting out stories about items which it would no longer stock. As I detailed in a post with a remarkably prescient title, it received national coverage when it stopped selling analogue radios, 35mm cameras, video recorders, and the computer game Manhunt. These stories each generated acres of positive press coverage about the futuristic and ‘ahead of the curve’ style of Dixons, for virtually no cost to the company itself. Now that’s good PR – It wouldn’t make sense to sack people like that just because a brand is disappearing. And, indeed, it appears that the PRs’ jobs were safe – the Dixons press department appears to have shifted across to a different part of the same group of companies. 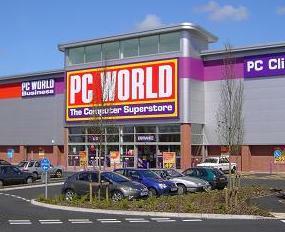 Earlier this year, PC World received much coverage for its decision to stop selling floppy disks – possibly a little too ahead of the curve, given that 700,000,000 of the things are still sold each year. And on this morning’s commute, I note yet more press coverage, since PC World have decided to stop stocking CRT monitors. Again, possibly too ahead of the curve, given that CRTs are still preferred by many graphics professionals. How many times can national media outlets be conned into printing an almost identical story, which is effectively an advert for the same group of companies? Six at least, it would appear. If that isn’t a depressing commentary on journalism today, then I’m not sure what is. This 1,227th post was filed under: Media. Comment posted at 23:37 on 14th November 2007. Comment posted at 21:52 on 16th December 2007. Comment posted at 20:41 on 22nd January 2008. Trackback received at 23:10 on 23rd January 2008.